SVT announces the promotion of Tina Peters to Vice President of Operations. Tina will have the primary responsibility for the delivery of SVT’s product and service mix. Tina has worked in the electronic systems integration industry for over fourteen years. “Ms. Peters has been the driving force behind developing enterprise level processes and procedures creating efficiencies that have dramatically impacted bottom line performance for the company.” said Josh Shanahan, President of SVT. 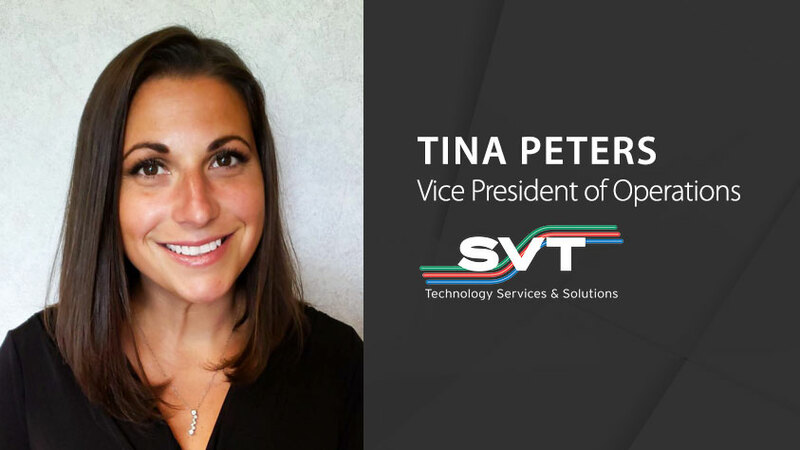 Tina is a graduate of Eastern Michigan University and an NSCA Ignite ambassador, sparking interest in the AV industry within the area schools. She is also very passionate in the cultivation of Women leaders in the industry.